A little bit of inspiration for you this Wednesday. 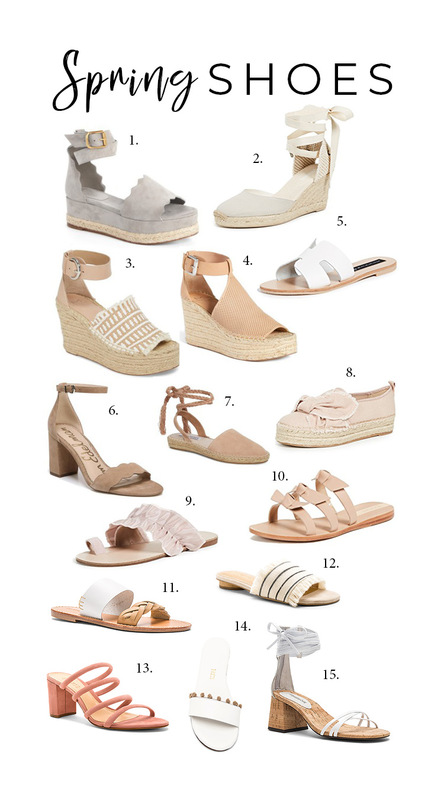 I've rounded up 15 pairs of my current favorite shoes for Spring! These all range in prices and are perfect neutral tones that you will be able to wear with just about anything. You can't go wrong with any of these shoes that can be worn all spring and summer long!